Visit our newly opened GECO Showroom! 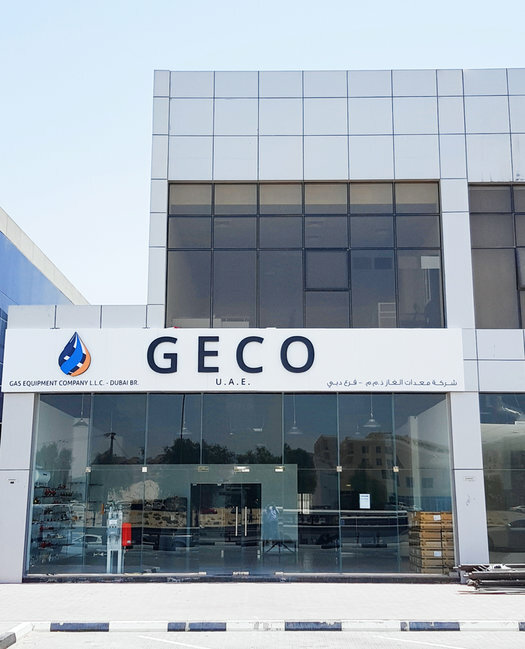 We are proud to announce the opening of our trading branch showroom, GECO U.A.E. (Gas Equipment Company L.L.C). The store is located in Ras al Khor in Dubai and extends over an area of 1,500m² with more than a 1,000 products destined for the oil, gas and water industry. Launched in 1988, GECO has been the G.C.C. leader in gas equipment supply and participated in building the biggest and most prestigious projects in the region. With exclusive European and American brands such as Sitex, Clesse, Algas-SDI, A+R, Lapesa, Itron and many others, we provide products ranging from L.P.G. storage tanks, valves and regulators, gas meters and flow meters, gas monitoring systems, gas detectors, vaporizers and S.N.G. mixers, pipes and fittings as well as numerous other accessories.